Samsung Galaxy S4 (Sprint) SPH-L720 users who have already installed their devices with Android 4.2.2 Jelly Bean, may root their devices using the tutorial below. This tutorial uses CF-Auto-Root file released by recognised XDA Developers, Chainfire. The CF-Auto-Root file allowing Galaxy S4 users to root their devices easily without depending on the firmware. It completely supports Android 4.2.2 Jelly Bean and future firmware as well. 2) Enable USB Debugging Mode on the phone by navigating to Settings >> Developer Options. 4) Ensure the battery of the phone is charged more than 80 per cent. 5) The CF-Auto-Root file works only on Samsung Galaxy S4 (Sprint) SPH-L720. Applying this on any incorrect variant will brick the device. Verify the model number of the Galaxy S4 by navigating to Settings >> About Phone. Step 2: Switch off the Galaxy S4. Then boot the device into Download Mode by pressing and holding Volume Down + Home buttons together and then press the Power button until the device turns on. Now press the Volume Up button to enter Download Mode. Step 4: Connect the Galaxy S4 to the computer using USB cable while it is in the Download Mode. Wait until Odin detects the device. When the device is connected successfully, the ID: COM box will turn yellow with the COM port number. Additionally, the successful connected will be indicated by a message saying Added. Step 5: In Odin, click the PDA button and select the CF-Auto-Root-jfltespr-jfltespr-sphl720.tar.md5 file. Samsung Galaxy S4 (Sprint) SPH-L720 running on Android 4.2.2 Jelly Bean firmware is now rooted successfully. You may now install any app that requires root permission. Verify the root status of the device by downloading Root Checker app from Google Play Store. 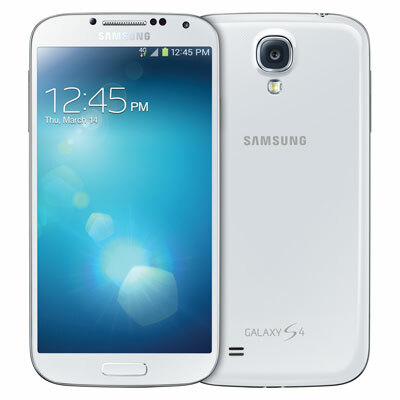 Click here to know How to Update Galaxy S4 (Sprint) SPH-L720 with Android 4.2.2 VPUAMDL Jelly Bean official firmware. Thanks a lot. This procedure works. Thanks for visiting our blog. All credit goes to Chainfire for his great work. Thanks so much. I spent all afternoon wandering around youtube trying different methods. By the way, my ID:COM box was blue and Oden still worked. Supper easy! It works great. Thanks! what happens if your F.reset time is grayed out? @Tarun Shetty -- It's non relevant. I imagine it stands for factory reset time. You don't need it. ive done it with and with out doesn't make a difference. Must my phone be charged to 80%? I have the sprint s4. It's SIM unlocked so I can use sims from other carriers. However the phone seems to be data locked. I have no option for APN settings. Any ideas on how to fix this problem? hi did you solve this problem? what was your " work around"
Will rooting allow access to WiFi Hotspot?